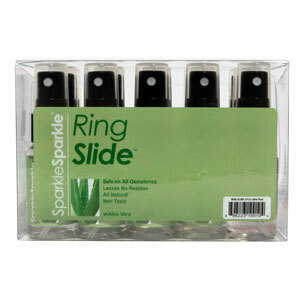 SparkleSparkle™ Ring Slide Kit. Kit includes a total of 15 bottles: 12 bottles of Ring Slide and one of each Delicate, Platinum, & Silver Jewelry cleaners. This product replaces the Ring Slipper®, SKU 54-4100.